Here is one more interesting program that enables you to calculate the factorial of very massive numbers such as 500. 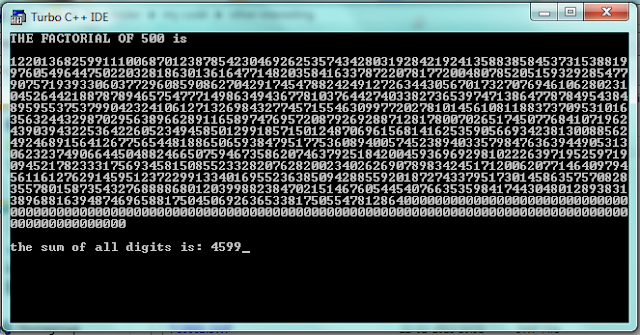 And even you can calculate the sum of all the digits of this massive number. Have a look at this program and enjoy. 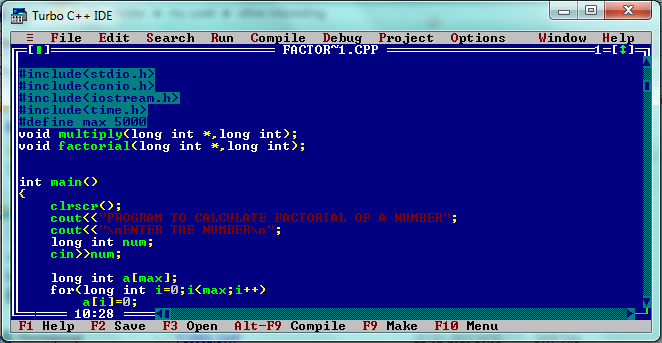 This program runs perfectly well in turbo cpp. 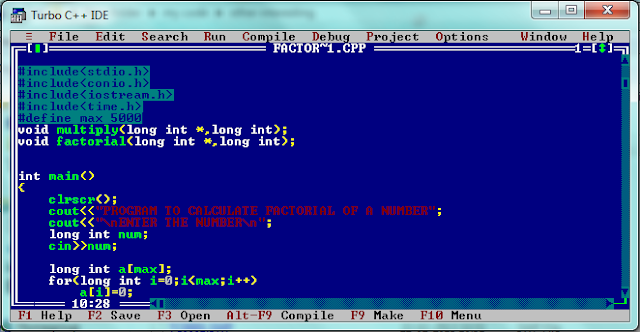 For factorial calculating function, including recursive calls, click here. Gud efforts.. Dis way v cn get out of d box programs.